3. Be patient with others. 5. Always stand for justice. 6. Be loyal to yourself. 7. Be loyal to your family. 8. Be loyal to your country. 9. Obey and be loyal to your instructor. 10. Be loyal to your dojang. To accomplish this, we must instill the champions ATTITUDE. To set goals for self-improvement and to develop the non-quitting spirit that is necessary to overcome obstacles and be successful in life. Next, we hope to educate and influence students' BEHAVIOR, so that they will develop the habits and lifestyle that will lead toward long term success. To learn and practice self-discipline in everything we do. Finally, to re-enforce solid CHARACTER development and to live by a set of principles and standards that can be applied to daily living. To encourage the formation of high personal standards and demonstrate respect for all human beings. In addition to providing an outlet for becoming more physically fit, learning a martial art, and achieving confidence in self-defense, we are committed to helping our students develop high moral standards by which to live their lives. 5. Be loyal to your friends. 8. Use good judgment before killing living things. 1. I will develop myself in a positive manner and avoid anything that could reduce my mental growth or physical health. 2. I will develop self-discipline in order to bring out the best in myself and others. 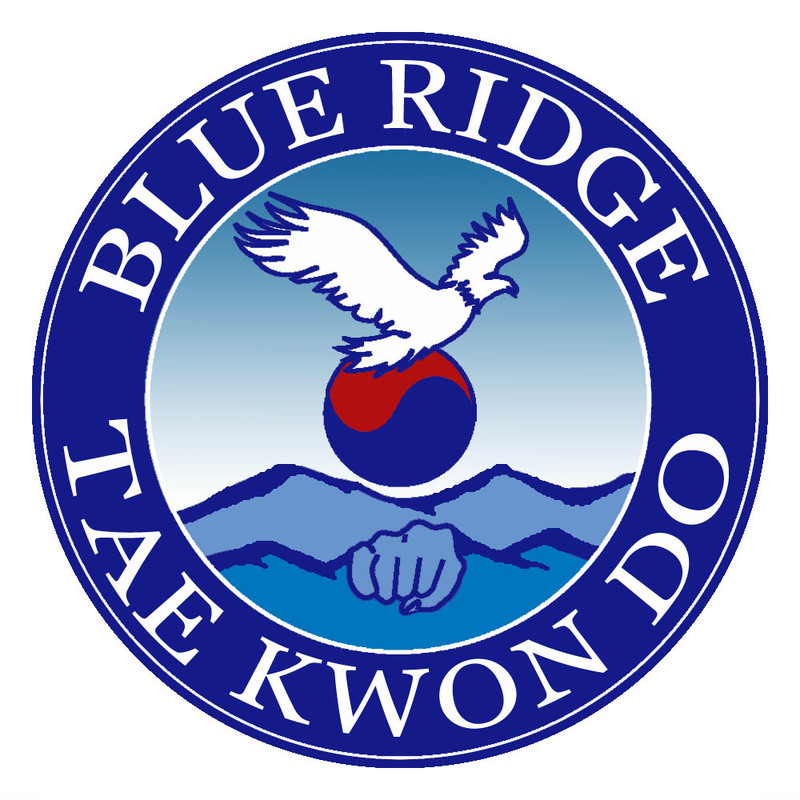 "There is a lot of self-imposed pressure at school and the program here at Blue Ridge Tae Kwon Do is a wonderful outlet in the evening for my son to work out any stresses."